Oh, and Modjeska Peak was named after the famous Shakespearian actor, Helena Modjeska. She emigrated from Poland, won acclaim in the USA, and eventually passed in Newport Beach in 1909. The trailhead and parking is a little tricky, there’s not a clean Google Maps address. 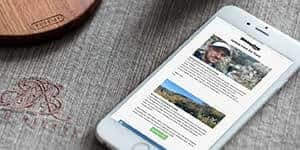 Use this address in your GPS: 31647-31741 Trabuco Creek Rd, Trabuco Canyon, CA 92679. Here’s the actual latitude and longitude link. 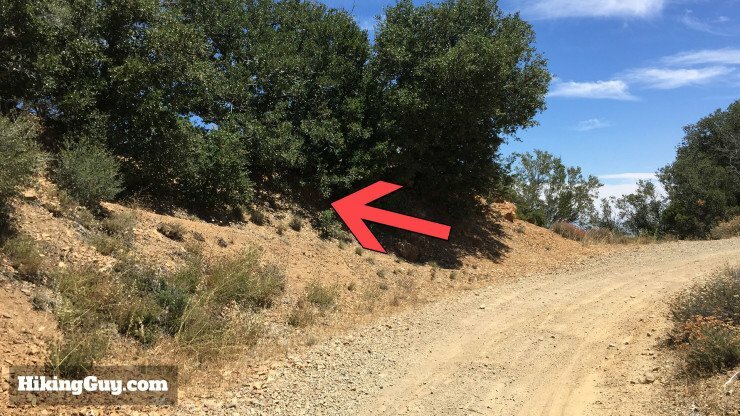 You are going to park at the junction on Trabuco Creek Road. There are some small parking areas along the side of the road here. It’s not a popular trailhead, and I’ve never seen it full. 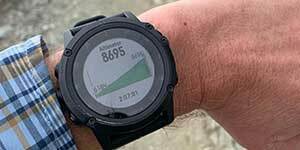 This is a long, tough, backcountry hike. You should bring at least 3L of water, more if it’s hot out. 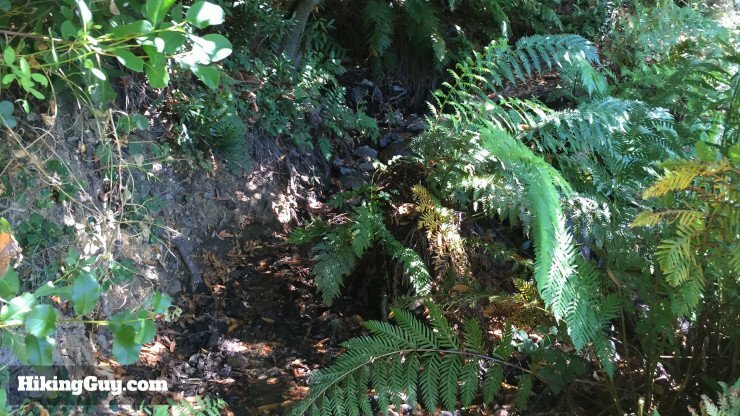 This hike has shady sections but can get very hot in the summer. I would also bring insect repellant, bugs can be intense in the summer months. 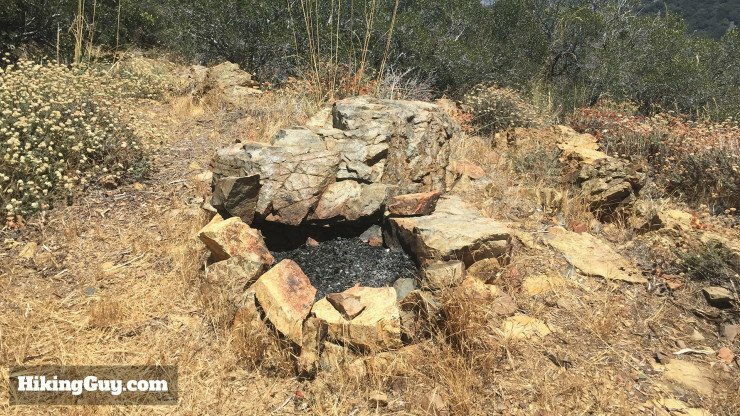 If you want to camp, there’s a fire pit on the summit of Modjeska Peak, a nice clearing, and great views. It’s obvious that people have done some backcountry camping here. 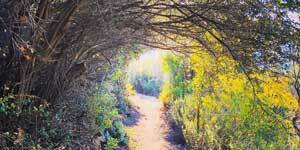 Most maps have an incorrect path for the Joplin Truck Trail, the main trail for this hike. 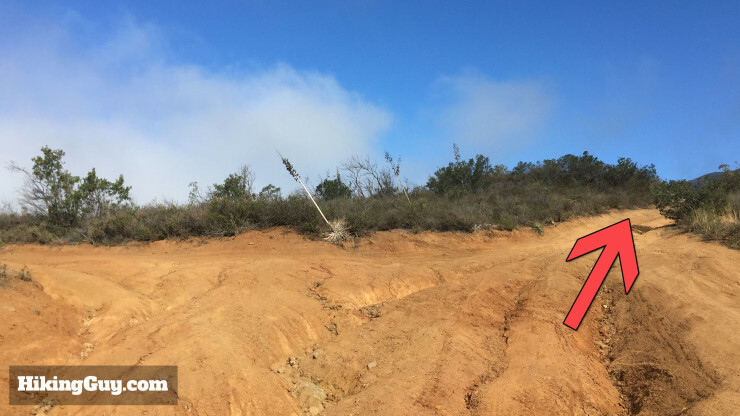 The GPX file in this hike has the correct route. 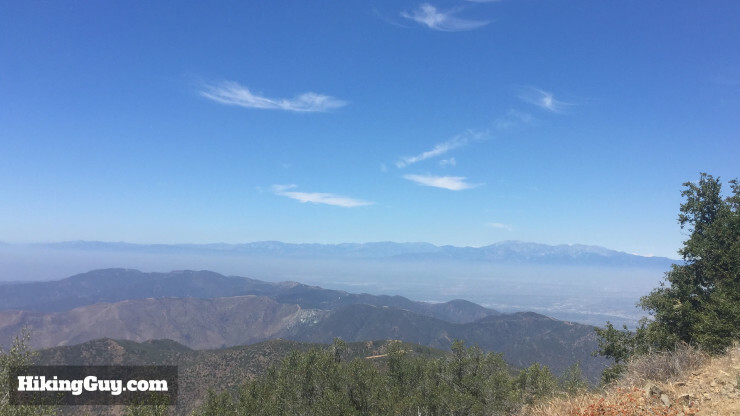 There are more mountain bikers than hikers on the Modjeska Peak hike. Give them a wide berth, the trail is narrow. 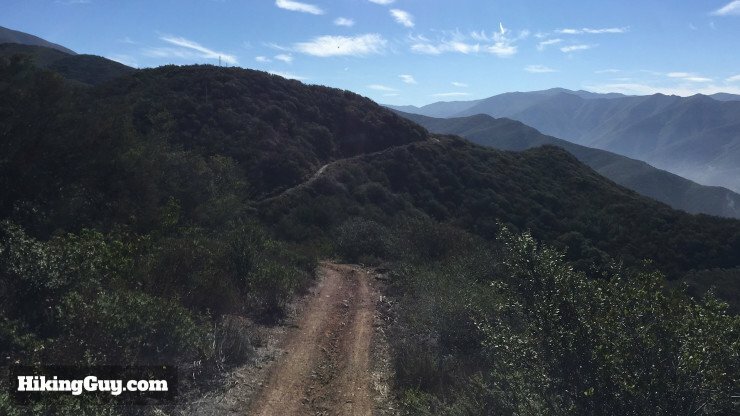 There’s a ton of climbing as you basically go straight up to one of the tallest peaks in the Santa Ana mountains. 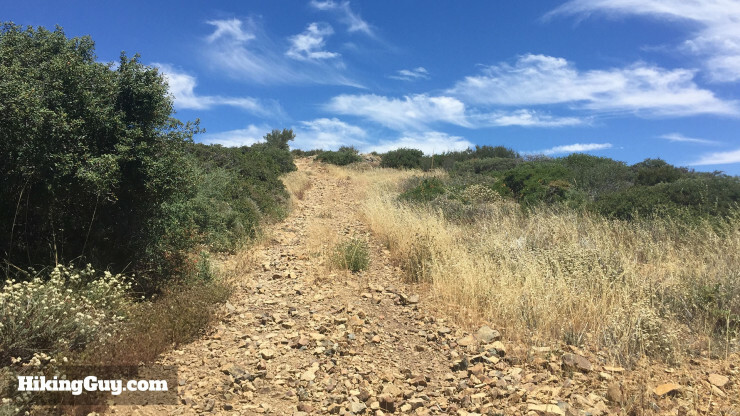 The hike to Modjeska Peak is generally very steep. There’s a short downhill section in the middle where you can catch your breath. Be careful on the downhill return. The steepness is extreme at parts. 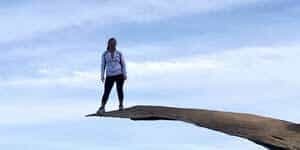 I strongly advise using hiking poles. There isn’t a parking lot, but you can park anywhere on the side of the road. 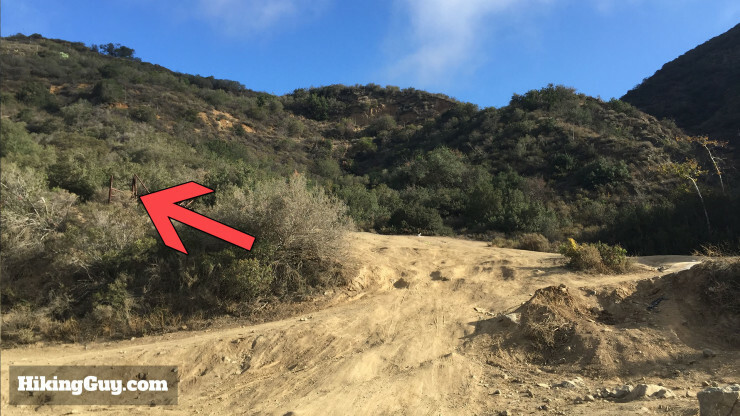 The trailhead starts on the left hand side of the dirt road, in an area popular with 4x4s. The hike starts where the dirt road goes off to the left, across the road from where you parked. 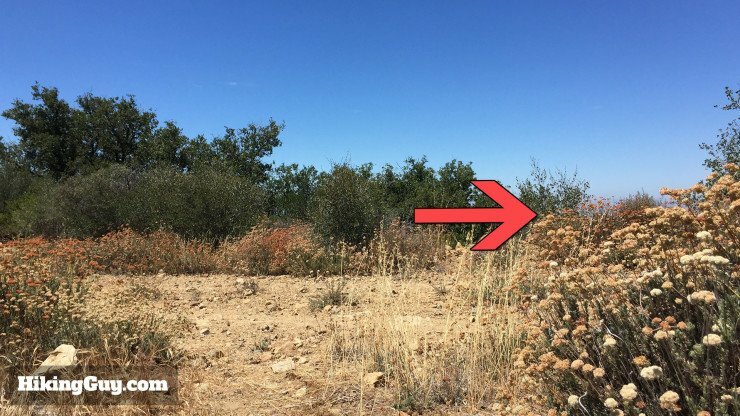 Hike through the 4×4 area and make the immediate left to start the hike. The 4×4 road climbs sharply. Keep an eye out for trucks that wrecked off the road (look closely on the right of this picture). 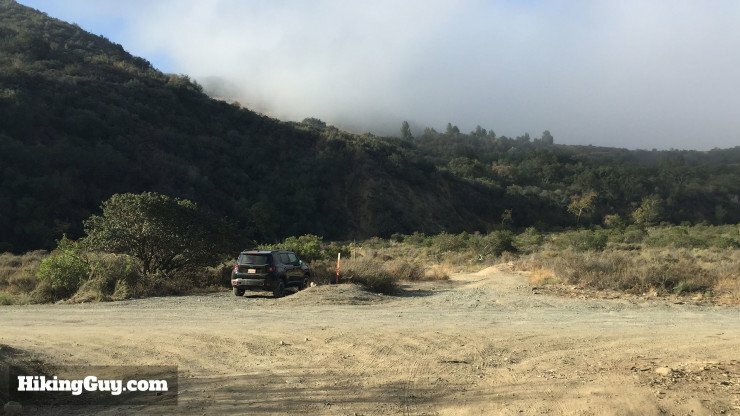 This area is popular with off-roaders, but you’ll be away from any craziness shortly. 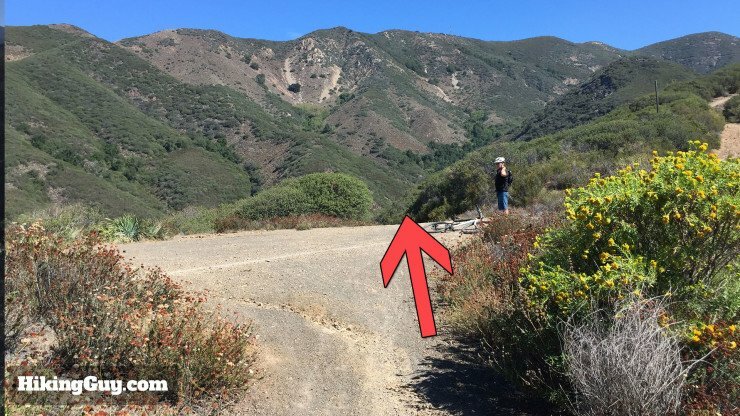 At about 0.7 miles, ignore the 4×4 road to the left and keep hiking straight. 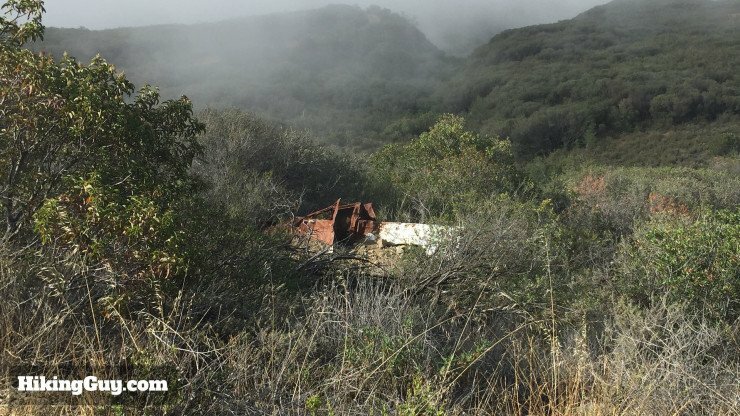 More wrecked trucks litter the side of the trail. At about 1.6 miles, you pass a memorial. The trail is pretty steep. At about 1.8 miles, after a particularly steep stretch, you reach the intersection with the Joplin Truck Trail. Hike to the right on this trail. You don’t have to keep an eye open for trucks on the Joplin Truck Trail, just mountain bikers. 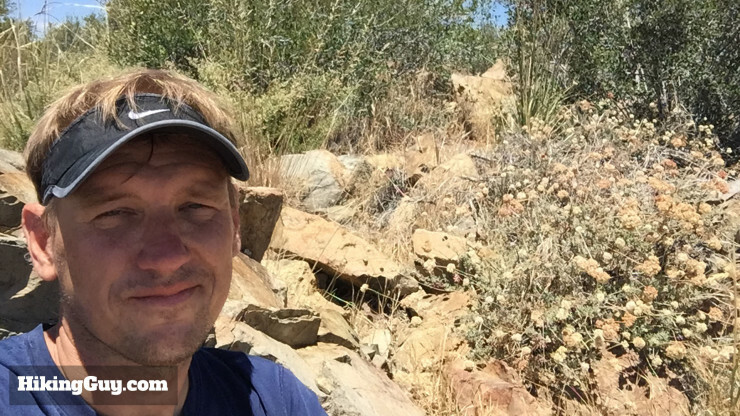 This stretch of the Modjeska Peak hike is level and pleasant. At about 3.3 miles, you reach an intersection. Go straight through and start to descend towards Old Camp on the Joplin Truck Trail. At the bottom of the descent, the trail reaches the remote Old Camp. Continue hiking through the camp. The Joplin Truck Trail changes dramatically now. It becomes small, overgrown, and primitive. 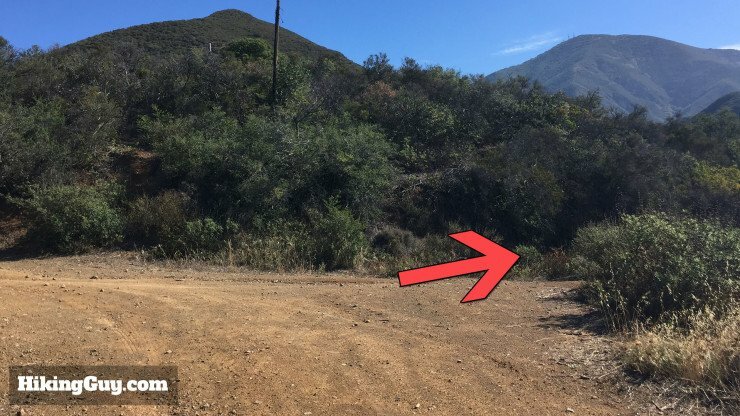 Generally you’ll be alone on this stretch, it’s too technical and steep for mountain bikers, but occasionally I encounter one coming down the trail. 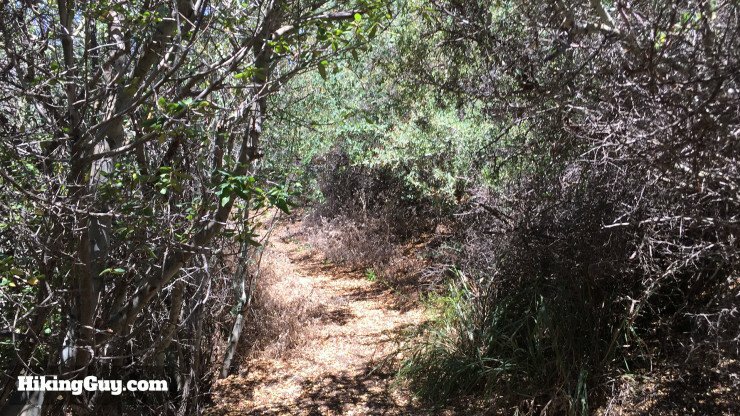 Thanks to Mohamed O. for this updated photo on this stretch of trail. 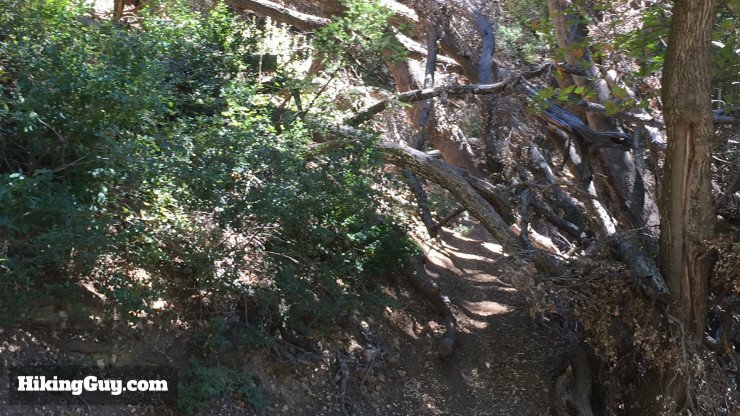 The trail here isn’t maintained, so you might be climbing over some fallen trees and making your way through overgrowth. 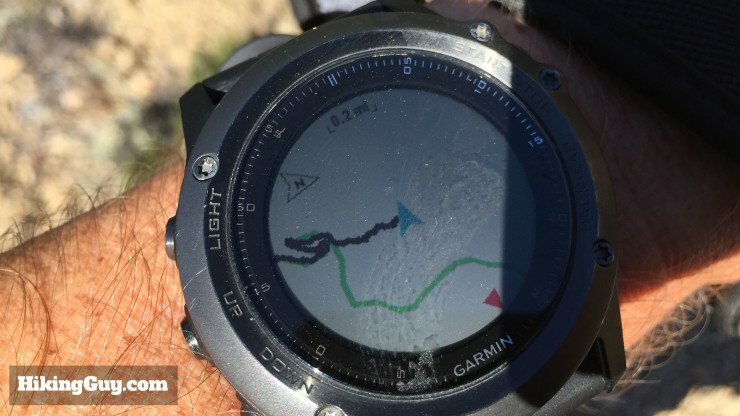 If you have a GPS map, you might notice that the trail doesn’t match up with the official trail path. Just continue on the trail, some official maps are incorrect on this stretch. My GPX has the corrected route. The trail hikes over some streams on the way up. It’s pretty lush, you might want long pants. The trail is very steep. Don’t forget to stop and look behind you as the views open up. 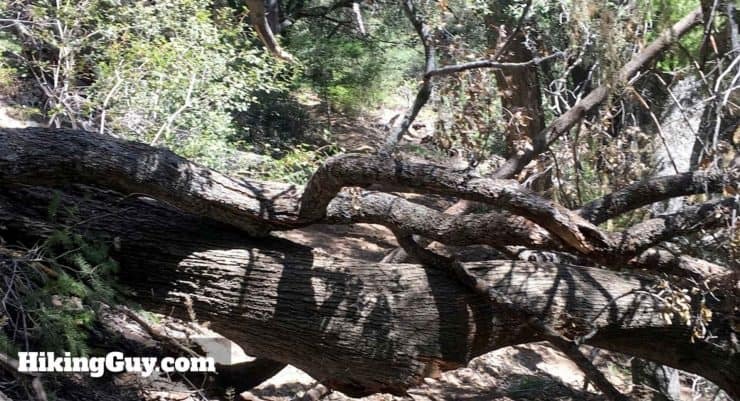 There’s one section of the trail that goes through some gnarled trees. It’s pretty cool. After about 6.1 miles, you arrive at the Main Divide Road. 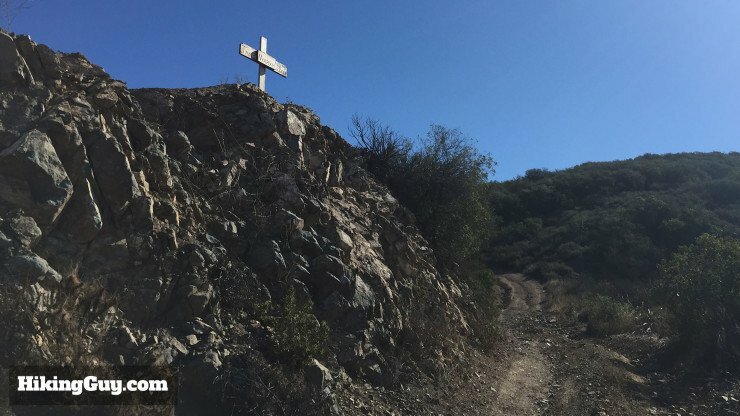 Mountain bikers call it “Pain Divide Road.” This section is a saddle between Modjeska Peak and Santiago Peak. Take the right turn here. It’s away from Modjeska, but trust me. Catch your breath by taking in the views. You earned it, the hike up is pretty intense. You’ll see Santiago Peak ahead. 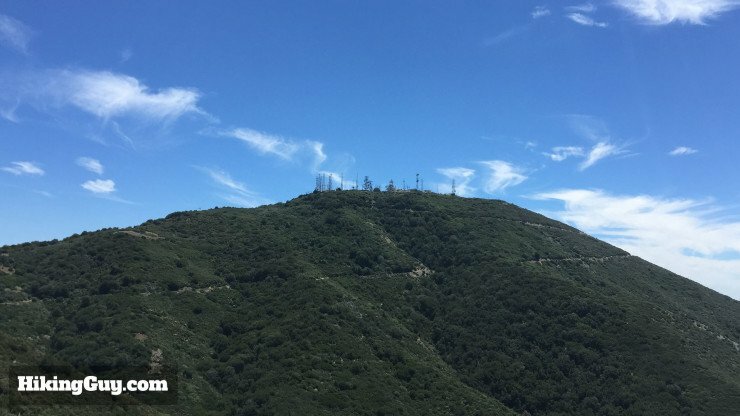 Modjeska Peak is free of all the radio towers and development. After a short stretch on the Main Divide Road (0.1 miles), right before the thin point of the saddle, make the hard left up the small trail. 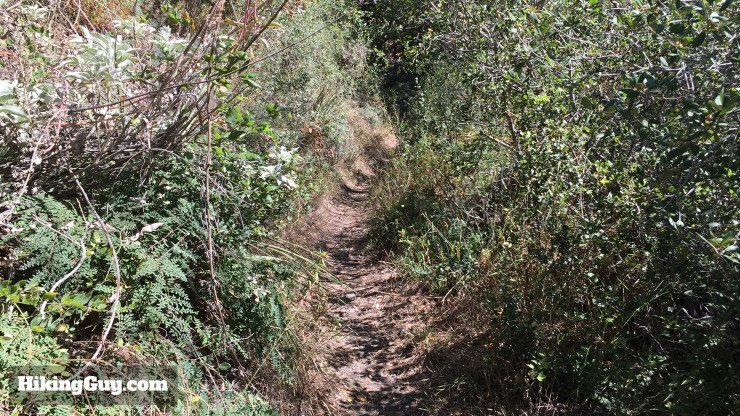 This small trail gently climbs through some shady areas. 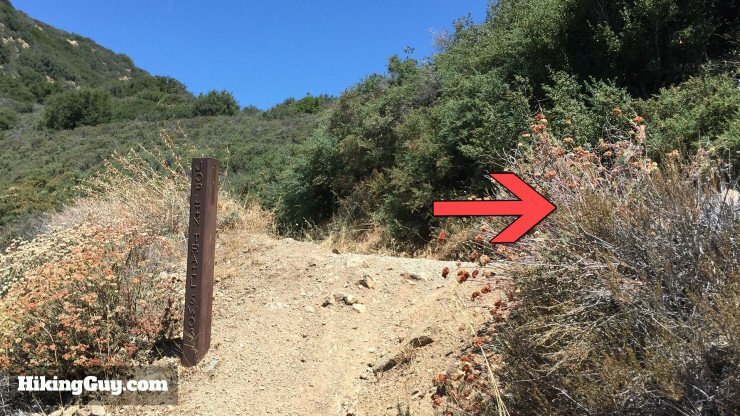 After about 0.6 miles on the small trail, it ends on a primitive road to Modjeska Peak. 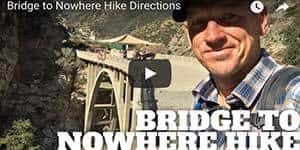 Hike to the right. 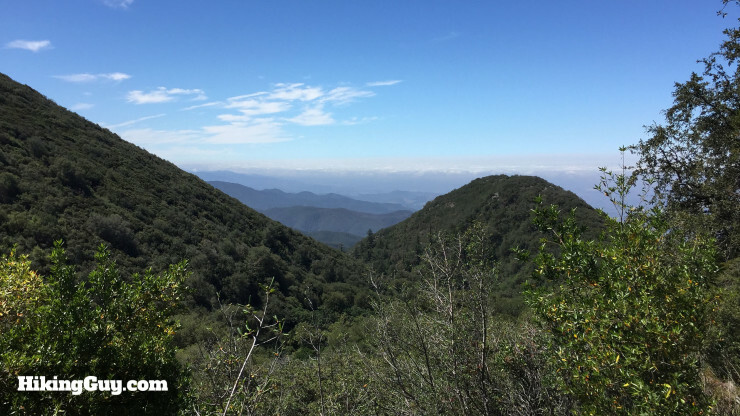 Views open up to the east as you hike this final climb. One last stretch of the hike and you’re there! After a ton of climbing, this last stretch can be tough. 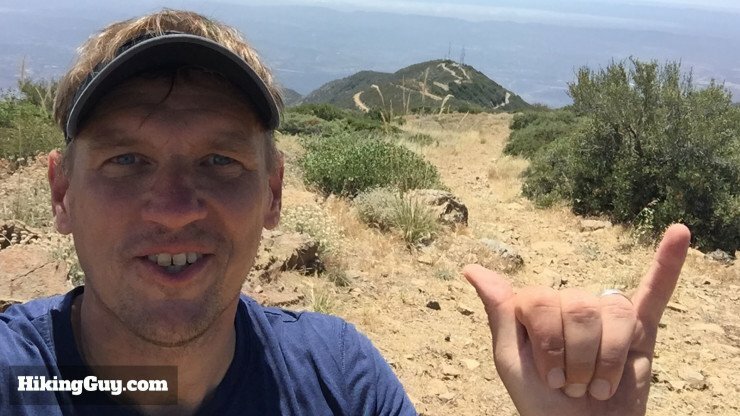 Whoa, you made it to Modjeska Peak! You can see by my face that it was a tough day for me. 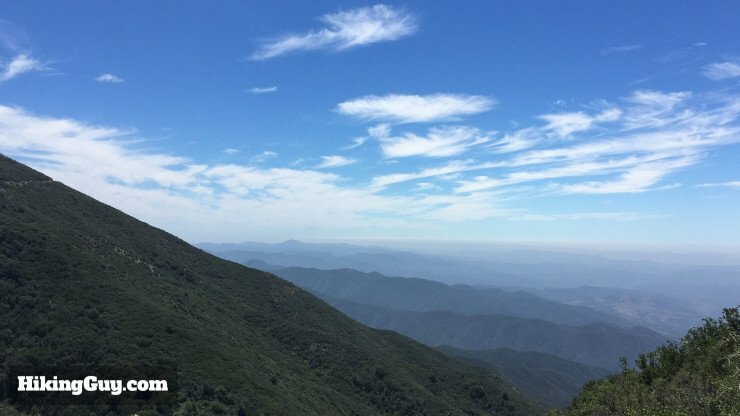 Have a seat at the clearing on the summit, eat a snack, and catch your breath. The day I did this hike in the summer, it was 105F at the summit. Come prepared. 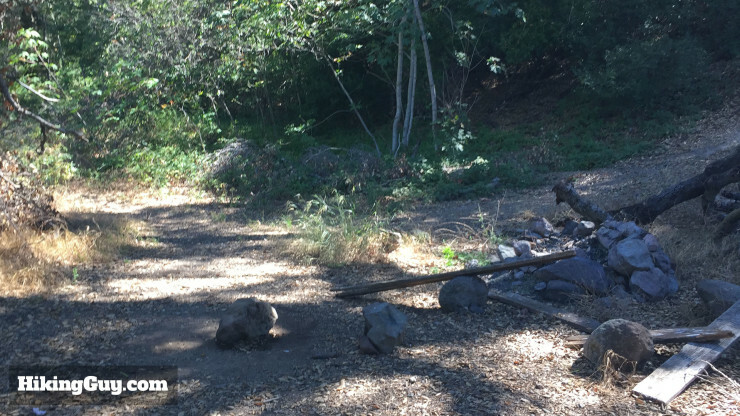 There’s a firepit if you want to camp. Or drive your 4×4 up here and knock down a case of cheap light beer. You’ve got options. 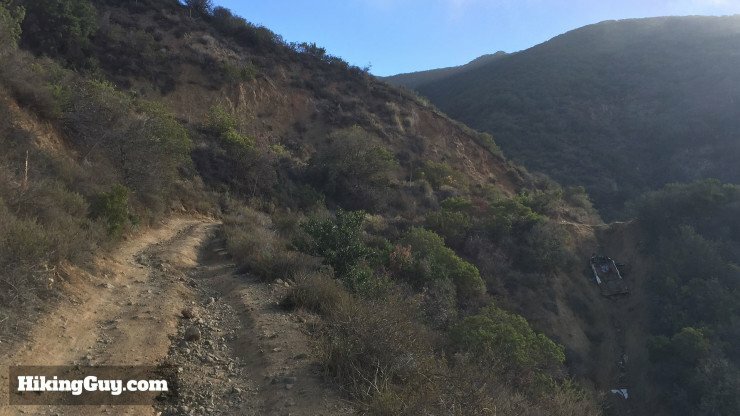 To finish the hike, hike back down the way you came. 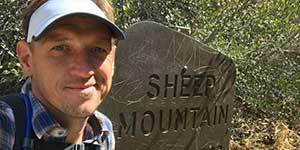 It’s a tough hike down, with lots of steep sections, so stay focused and use your hiking poles to stay upright.